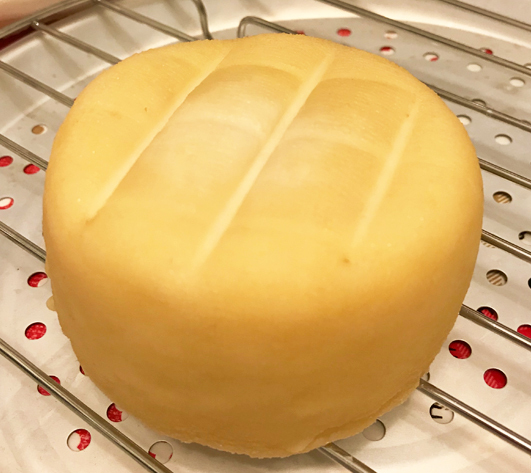 I decided I want to go a bit further with my homemade cheese-making experience and I managed to make a semi-hard cheese. Nothing complicated in this process, just a little patience – about a week and is done. I used the same process as for making the feta cheese. 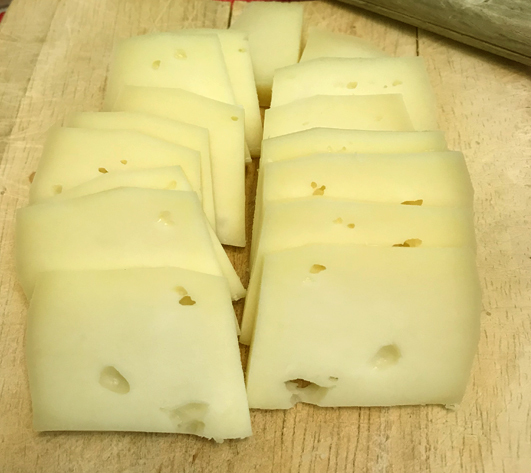 I took a small quantity of unsalted feta and put it in a mold and press it down really well until it was almost dry. Then I place the piece of cheese on a rack and let it sit there at room temperature (22-24 Celsius degrees) for about a week, covered with a piece of cheesecloth and turning it 2-3 times a day. Nothing like shop-bought produce. Definitely a winner!